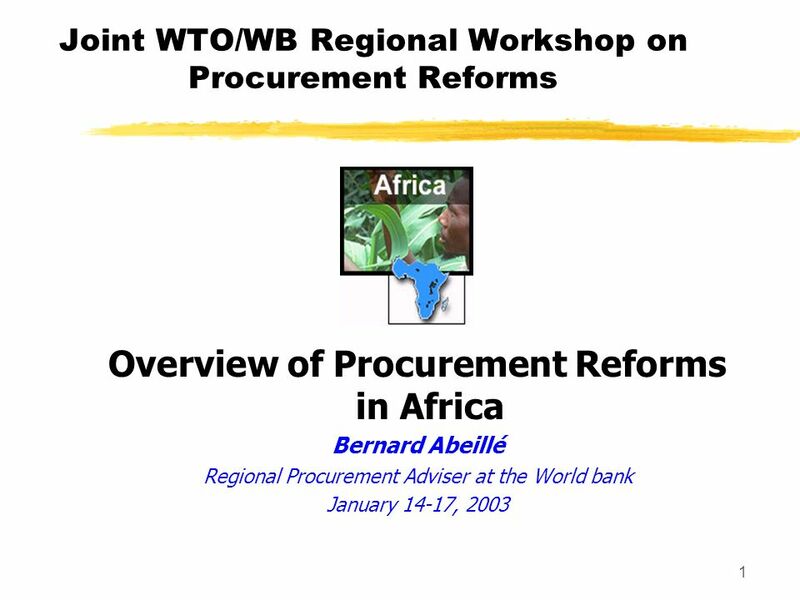 1 Joint WTO/WB Regional Workshop on Procurement Reforms Overview of Procurement Reforms in Africa Bernard Abeillé Regional Procurement Adviser at the. 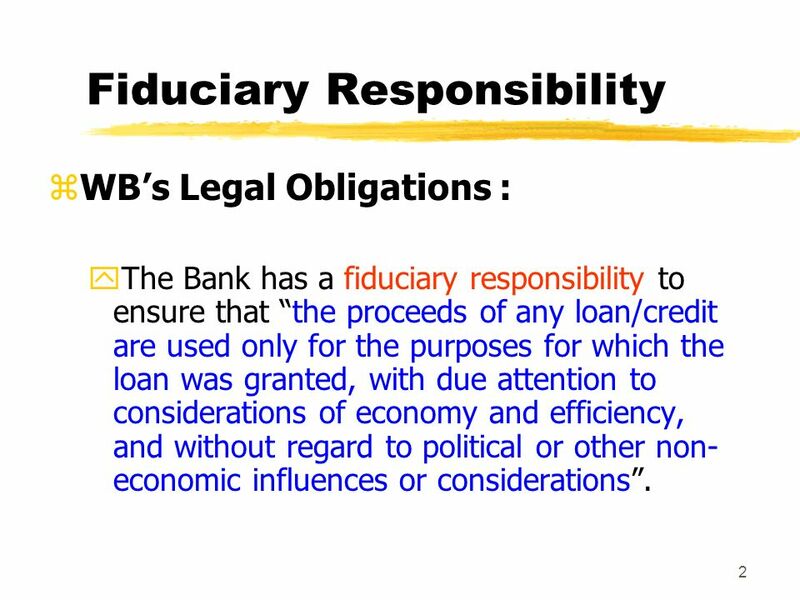 3 2 Fiduciary Responsibility zWBs Legal Obligations : yThe Bank has a fiduciary responsibility to ensure that the proceeds of any loan/credit are used only for the purposes for which the loan was granted, with due attention to considerations of economy and efficiency, and without regard to political or other non- economic influences or considerations. 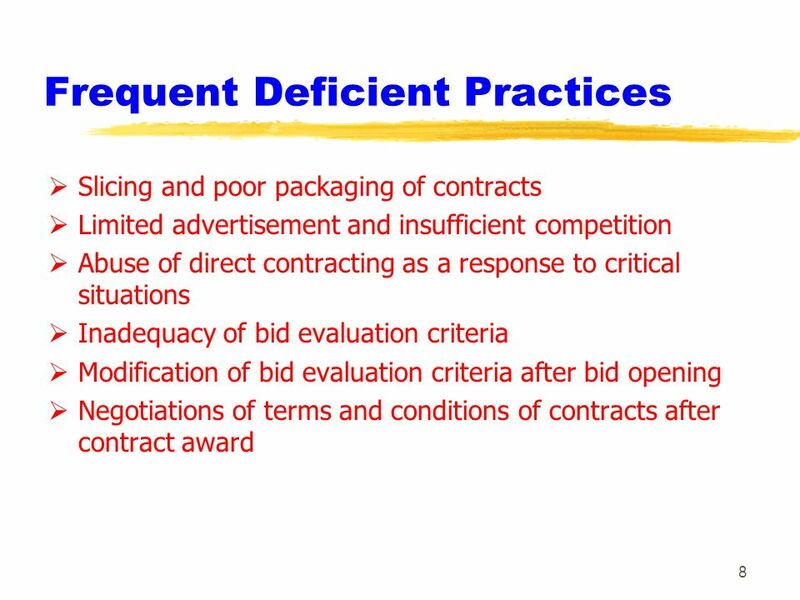 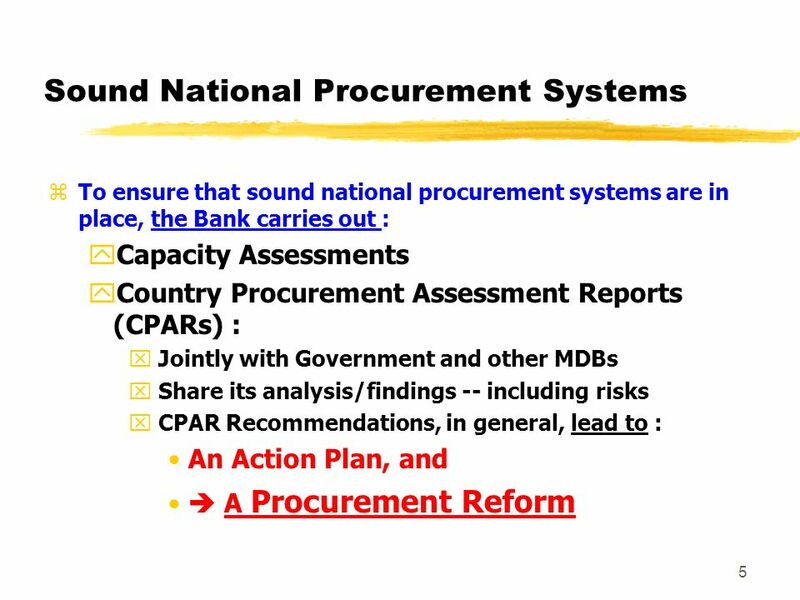 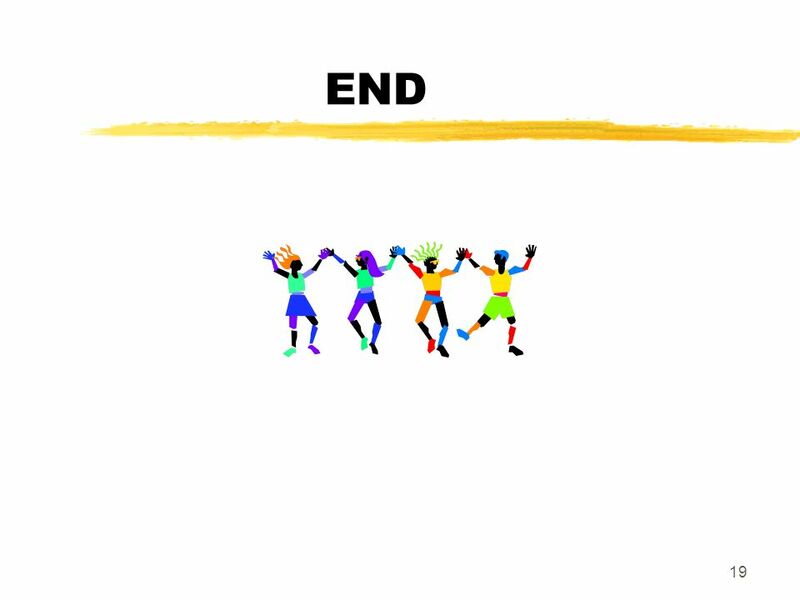 Download ppt "1 Joint WTO/WB Regional Workshop on Procurement Reforms Overview of Procurement Reforms in Africa Bernard Abeillé Regional Procurement Adviser at the." 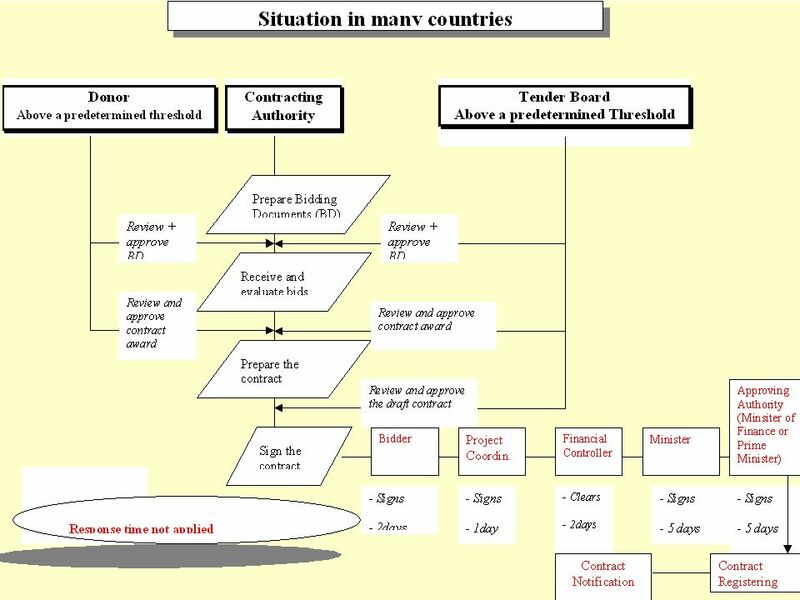 1 Table of Content I- What is Financial Management? 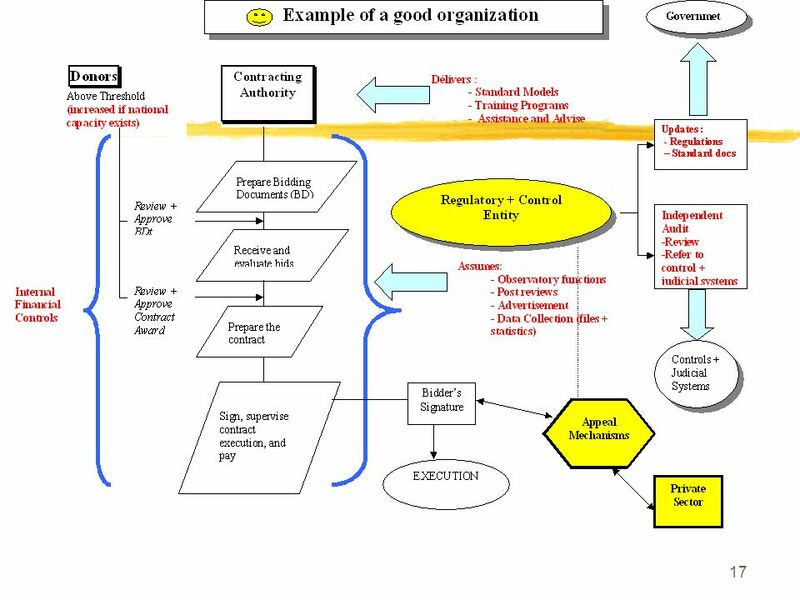 II- Why we need a good Financial Management system? 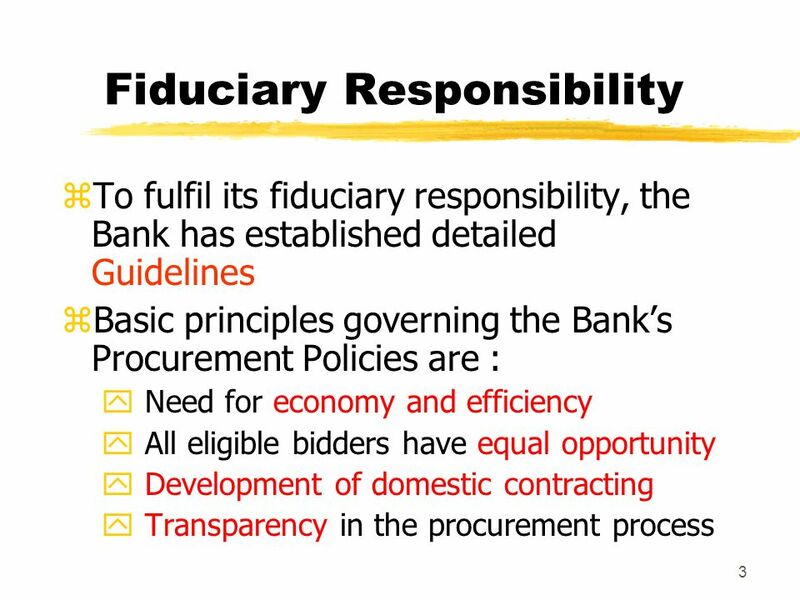 III- World Bank Policies and Guidelines on Project. 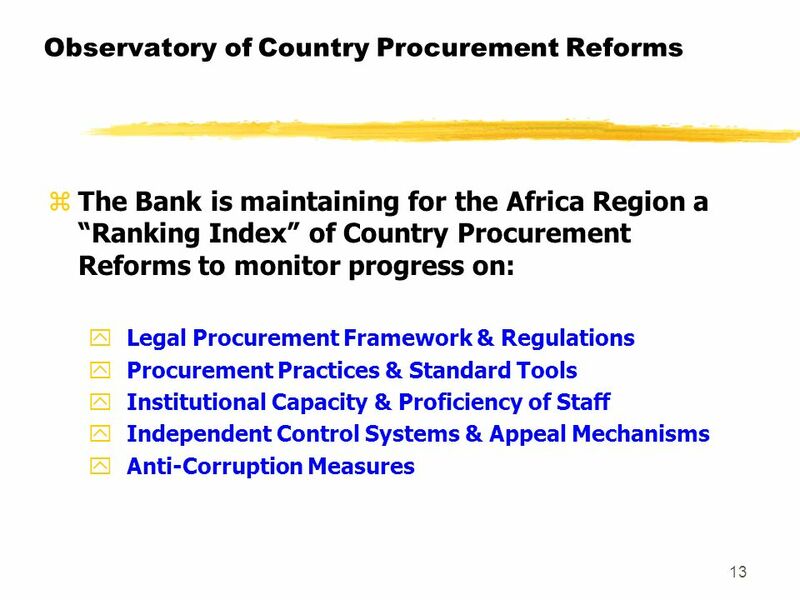 Africa Region Procurement Reform Observatory AFTQK PROCUREMENT GROUP. 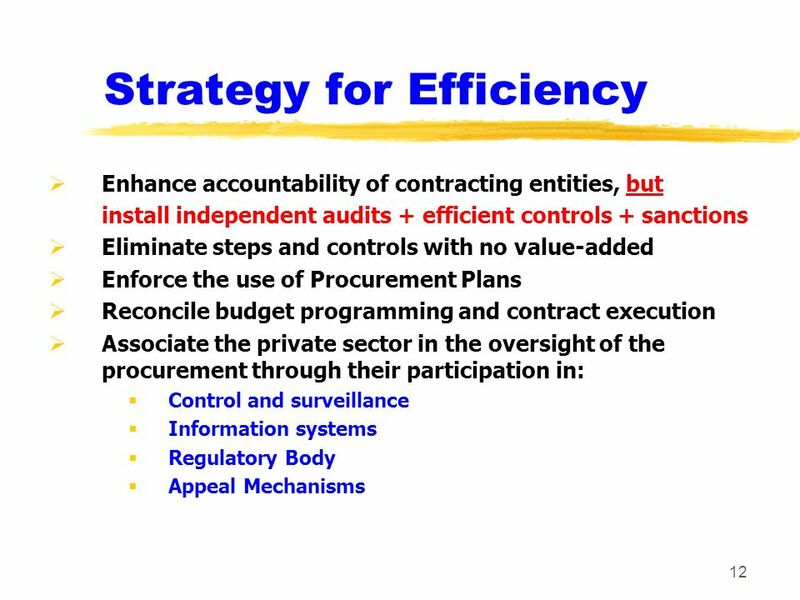 1 Session 6 : SCOPE AND COVERAGE OF GOVERNMENT PROCUREMENT RULES January 2003, Dar es Salaam Vesile Kulaçoglu, WTO Secretariat. 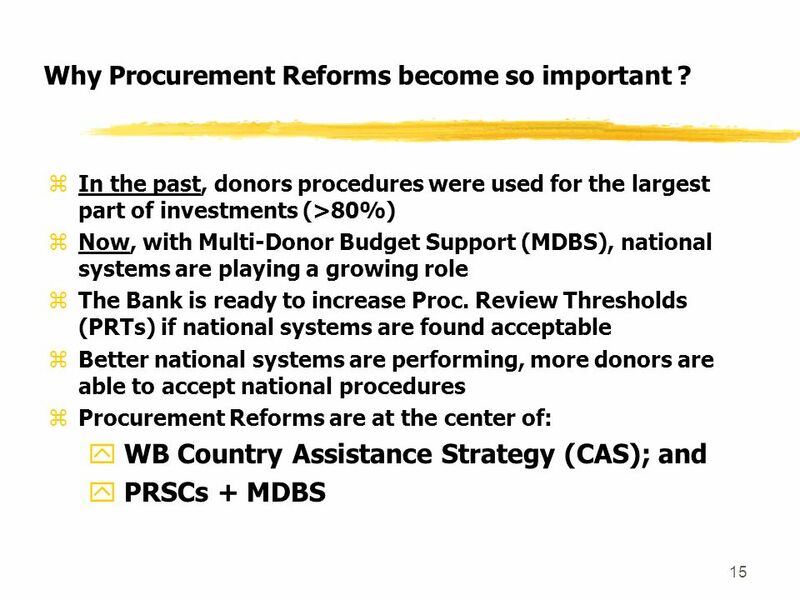 Joint WTO/WB Regional Workshop on Procurement Reform and Transparency Session 9: Technical Cooperation and Capacity Building Capacity Building in Government. 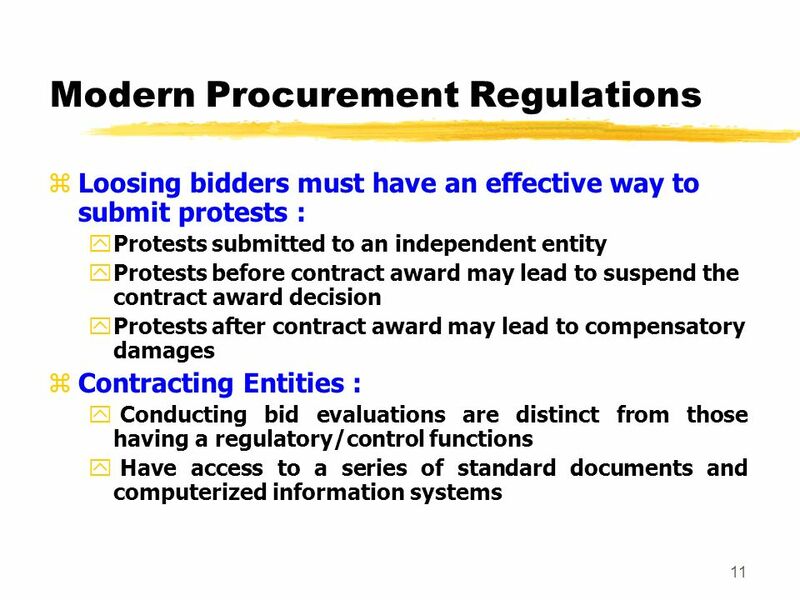 Joint WTO/WB Regional Workshop on Procurement Reform and Transparency Session 6: Transparency and Fair and Equitable Procedures Mr. Jean-Jacques Raoul. 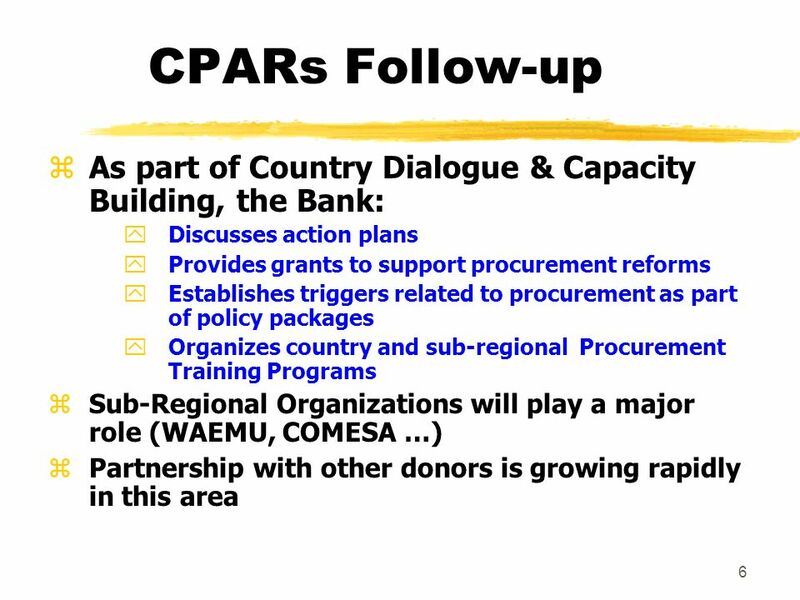 1 Session 3: Aid instruments and the PRSP Finnish Aid in a PRS Context Helsinki Workshop May 2003. 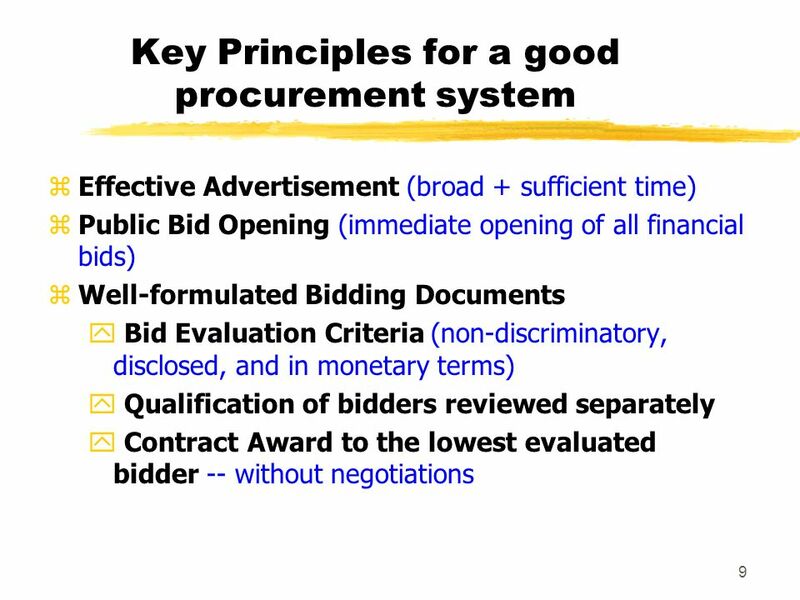 ASARECA Procurement guidelines Goods and Works. 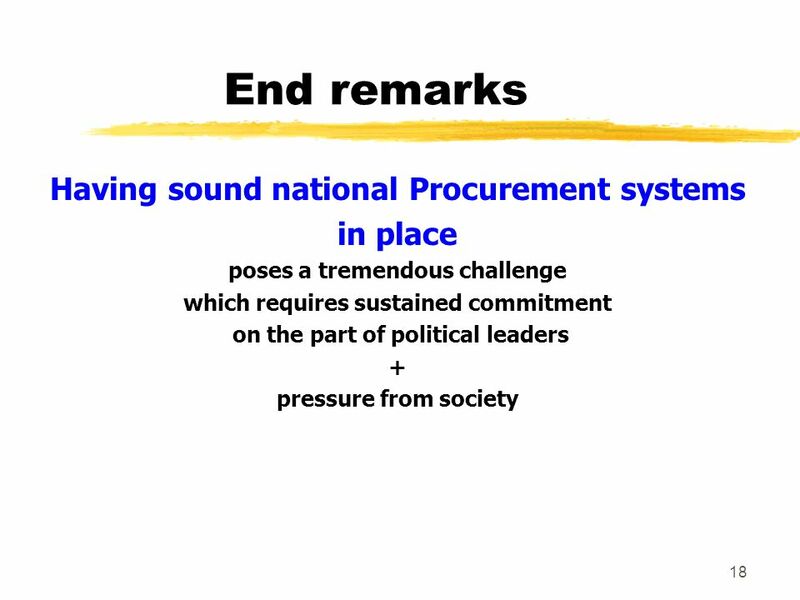 PROCUREMENT OF GOODS By P rocurement and C ontracting Officer ITAZA MUHIIRWA. 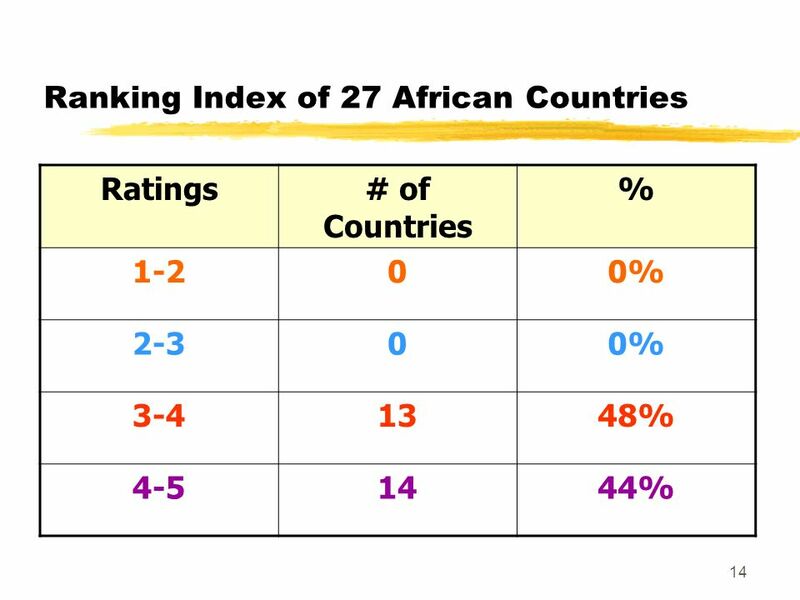 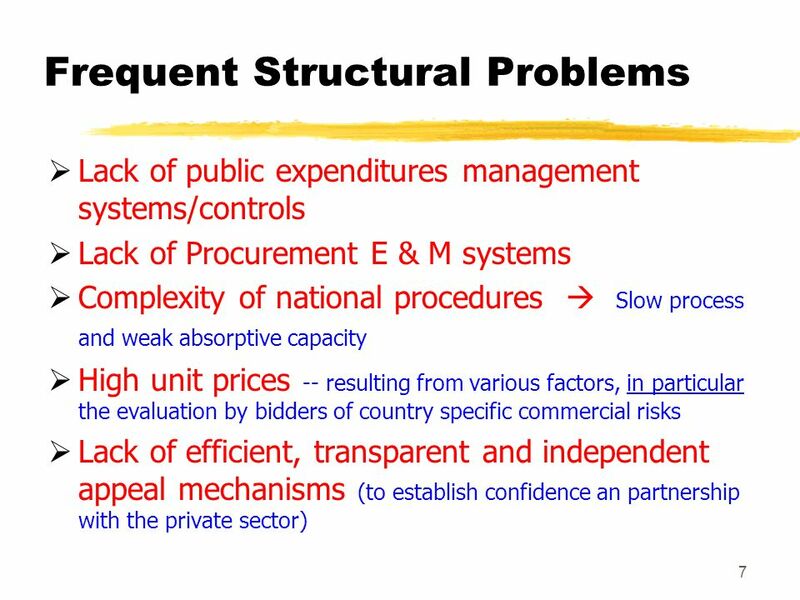 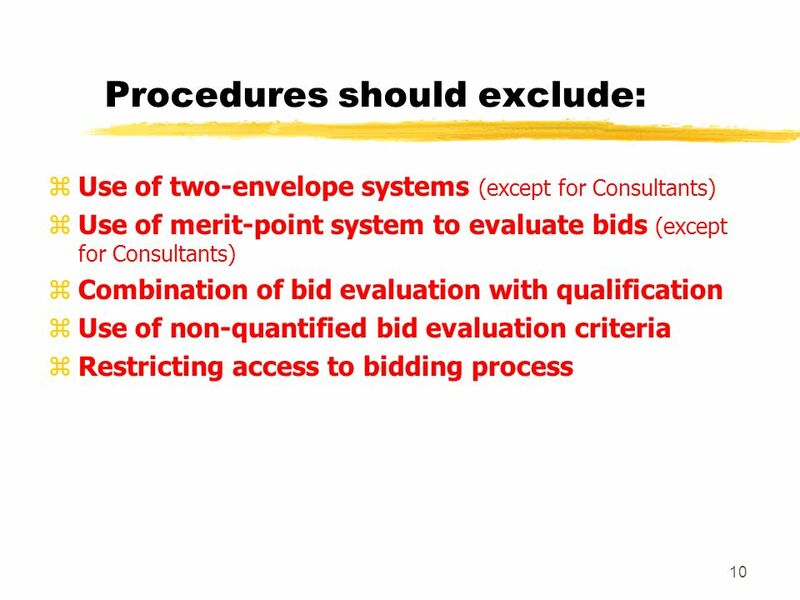 1 Why the World Bank Successful Privatisations are Useful for the Audit of Privatisation? 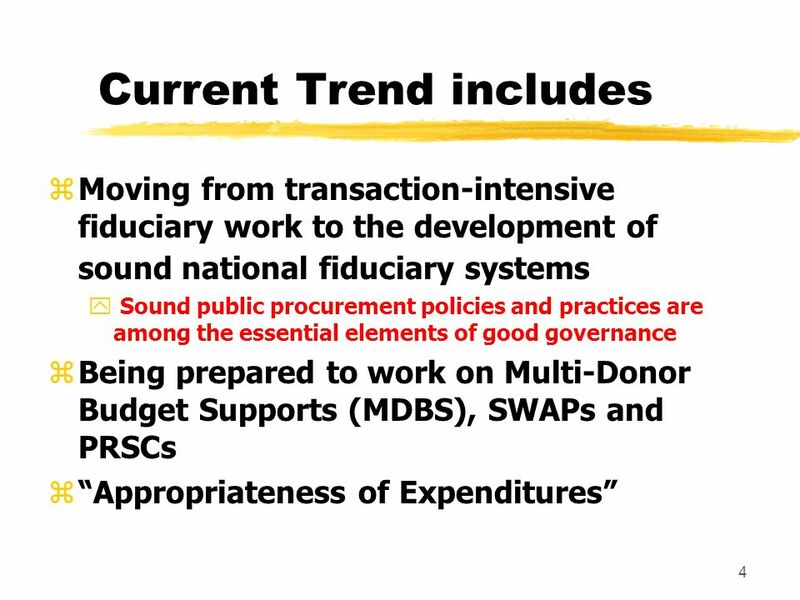 The World Bank rich experience worldwide through providing technical.